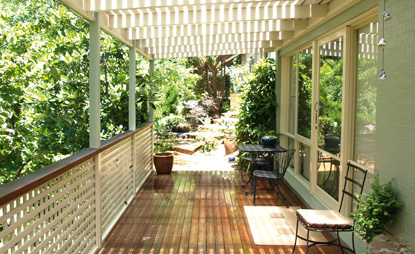 Fairway Lodge Bed and Breakfast is a classic design home nestled in a pretty and peaceful location in Leura, Blue Mountains. Overlooking the renowned Leura Golf Course, it is the perfect destination for a getaway with family and friends or perhaps that romantic escape for two. Owned and run by Ken and Leonie Berruex, Fairway Lodge Bed and Breakfast guests are offered a warm welcome with individual care and old fashioned country hospitality. 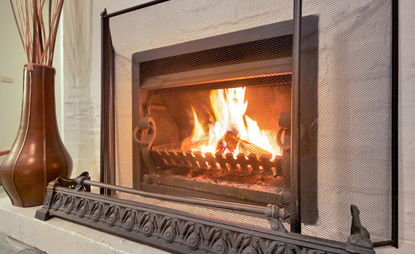 Relax outside breathing in the pristine mountain air, perhaps sipping a complimentary port and reflecting on your memorable day in the blue mountains, or rest in front of the open log fire in the cosy atmosphere of the lounge area. 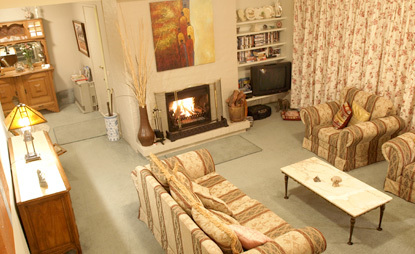 Fairway Lodge Bed and Breakfast offers quiet and relaxing accommodation, perfect for folk attending functions at the Leura Golf Club and a very popular alternative for visitors attending conferences and events at the Fairmont Resort, both of which are only steps away. Inviting, intimate, open and bright, Fairway Lodge Bed and Breakfast provides the ideal atmosphere for the meeting of small groups such as Writing, Poetry, Art, Spiritual, Needlecraft, Quilting, Bridge, Golf, Weddings and many others. 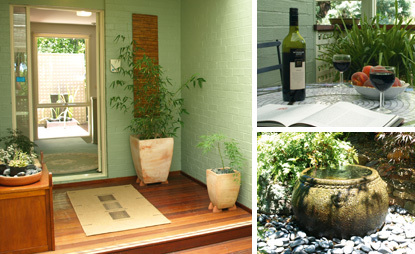 A perfect base for bush walkers and golfers – packages available. Don't just take our word for it, see what our guests are saying about Fairway Lodge. Click the 'Read review' link below. If you have stayed with us, we'd love to hear your views and we're sure other guests would too. Click the 'Write a review' link below and share it with the world.